This week in our practitioner series we’re featuring Kelly Peters, Chief Executive Officer and Managing Partner at BEworks, a behavioral economics firm based in Toronto. 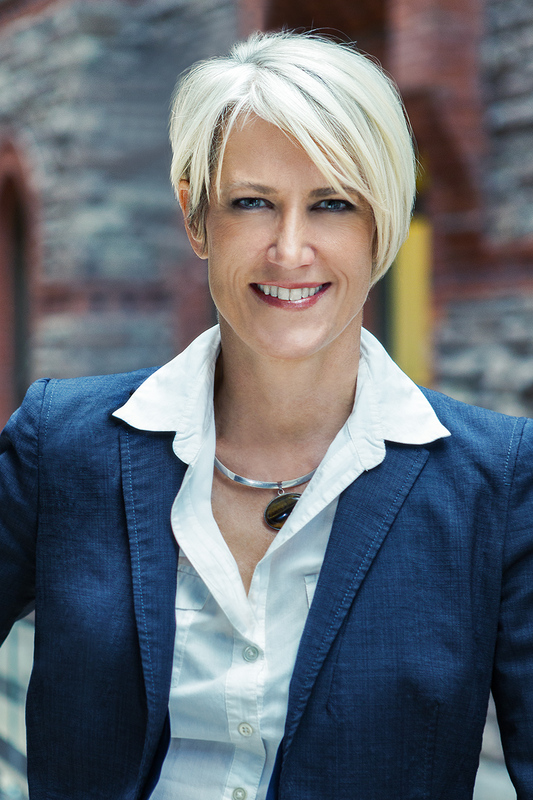 She has over twenty years’ experience leading strategy, technology and innovation in major companies, including RBC Royal Bank of Canada and BMO Bank of Montreal as well as an an MBA from Dalhousie University with a concentration in financial services. Tell me about your work: how does decision-making psychology fit in it? I am the CEO of BEworks, a management consulting firm dedicated to the application of decision-making psychology to real-world challenges. The firm has been grounded in the interdisciplinary marriage of science and business since its inception in 2010 with two leading academics; Dan Ariely, and Nina Mazar, and two accomplished business strategists; Doug Steiner and Louis Ng. We also have two academic advisors: David Pizarro, a social psychologist from Cornell University and Supriya Syal, a neuroscientist working on her post-doctorate at University of Toronto. The hands-on engagement of academics in our projects is one critical thing that distinguishes us from many firms. This lets us do cutting-edge primary research in partnership with clients who want a competitive advantage. Although our work is research intensive, we are hands-on practitioners designing experiments to change workflow and improve marketing strategies. I have an unusual analogy to explain how we bring three new techniques in the fight to improve the bottom line. The first technique is the right jab, which is the insight from behavioral science that explainswhy people make the decisions that they do; the second is a left hook which is about formulating hypotheses of what and how to influence people’s decisions; and the third is a drop-kick, which is empirical validation of the ideas through rigorous experiments. We are finding that business leaders and policy-makers are hungry for scientifically-grounded innovation and experimention. They are starting to see how behavioral economics offers new solutions and new thinking. Our projects run the gamut of the four Ps of marketing, product, price, promotion, and place, but also process improvement work like fraud and collections. We have a diverse range of clients from around the world in financial services, retailers, news media, health care companies and even political campaigns. And we are seeing the same anomalies in rationality in every domain! How did you first become interested in decision-making psychology? Growing up in the 1980s, I played text games on a TRS-80 and was the one who programmed my family’s early electronic devices. In university I studied philosophy, sociology, literary theory, political theory, and contemporary art. I became interested in technology and its impact on society, which is really about the behavior of adoption (remember Geoffrey Moore’s Crossing the Chasm) and attitudes towards technology (from denial to enthusiastic). Reading about Ted Nelson’s Project Xanadu led me to start my professional career in 1993 as a consultant focused on helping companies understand why and how to develop a web presence. I worked on the dotcom launch crew of the largest media properties in Canada. And though the media companies were the first to get online, I believe their business model depends on micropayments. Financial services were the first industry to have a real application for online capabilities. I took on a role as director of product development for a financial services dotcom where the goal was to fundamentally change the behavior of how people conduct their banking. Most of my career was spent leading business strategy and innovation teams. Success depended on understanding what will drive adoption of new products and services, how to engineer a meaningful customer experience, and increase utilization of new channels like online banking. Few people realize how heavily banking relies on behavioral insights – whether it’s understanding how to encourage customers to use new banking channels like ATMs or online banking, or from cheques to electronic transfers; to drive savings or borrowing; to engineering new products and driving their adoption; to assessing risk; and managing collections and preventing fraud. In the 1990s, behavioral scoring data models were being developed to capture both the quantitative aspect of a person’s financial wherewithal such as their capacity for debt service and collateral, but also quantify “character.” This behavioral variable is what explains why a wealthy person could be a bad credit risk and a poor person could be a good one. On the other side of the balance sheet behavioral finance explains why a wealthy person can be a terrible saver and a poor person can be a diligent saver. Retail and commercial credit risk, behavioral finance, and enterprise risk management are theoretical constructs underpinned by models that derive explanatory power from behavioral attributes. I gathered insights from thought leaders in economics and political theory (Hayek, Schumpeter) and risk theory and history (Against the Gods: The Remarkable Story of Risk by Peter Bernstein and Nassim Taleb’s book Fooled by Randomness). While these books provided incredible insight on how people are irrational, it was the work on “choice architecture” led by behavioral economists that provided the ah-ha, here’s how these insights can be applied to influence behavior. I devoured the research of Dan Ariely, Amos Tversky, Daniel Kahneman, Richard Thaler and Cass Sunstein along with the work of psychologists like Robert Cialdini. Businesses, and the academic programs they draw from, like MBAs and commerce degrees, ought to incorporate behavioral research and the scientific method if they want to understand their customers in non-intuitive or subjective experiential ways. While at the RBC Royal Bank of Canada, I had the support of amazing executives and mentors to launch a series of behavioral economics projects starting in 2009. I had the joy of working with Piyush Tantia, John Balz and the ideas42 team. I also partnered with thought leaders like Nina Mazar and Dilip Soman at the University of Toronto & Rotman School of Business, which is in the process of becoming known as a global hub for applied behavioral economics research. With the support of the bank, I moved on to join Dan Ariely and our other partners to help build BEworks. What type of research do you find most interesting, useful or exciting? This is a very difficult question! Every day is interesting and exciting and presumably useful! We continue to enhance our methodology. The incredible thing about behavioral science is it is endlessly refining what is understood about humans since there is a myriad of ways people are both rational and irrational! We launched our Diagnostics Toolkit in 2010, and after extensive research we recently launched a more comprehensive version. And, of course, seeing the results of our hypotheses validated through experiments is the most exciting part of what we do. We also recently launched our Behavioral Economics Lab. We’ve started to conduct primary research in areas that we think are important or interesting. For example, we are in the midst of a series of experiments on retail investor risk appetite. Our hypothesis was that the conventional approach to measuring investor risk appetite is fraught with biases. We were able to demonstrate with simple decoys that investor risk appetite is quite malleable and prone to framing effects. This disutility is disconcerting because it gives investors and their advisors bad information about what financial strategies to pursue. We are excited that industry partners, investor education organizations, and regulators are very interested in our research. Our next step is to design and experiment with prescriptive solutions. Do you see any challenges to the wider adoption of decision making psychology in your field? We have criteria for the kind of client we work with! We know that it’s hard for people to change and a number of things keep business leaders and policymakers doing things the same old way. But once leaders learn how to run their own experiments instead of relying on past experience, intuition, or outside experts who say they have all the answers, strategy formulation isn’t the same. Our clients have to be ready and committed to a scientific approach – both in the knowledge we bring to the table and the empirical approach to our work. An interesting trend will I think work in our favor. The “quantified-self” movement is encouraging people to generate data and statistics in their everyday lives – how much time is spent in REM when they sleep, how many steps they take, and miles they drive. It is much easier now to be empirical in our everyday lives thanks to incredible technology innovation. Once people start looking at things with an empirical lens, relying on intuition becomes less satisfying. Most businesses struggle to make sense on the data they are gathering and giving it a purpose. The next natural step, which is where we can help, is grappling with how to employ this data to change behavior. How do you see the relationship between academic researchers and practitioners? This relationship is the foundation of our company. Our team is a collaboration of academics and business consultants. Each partner brings a background of successful academic/business partnerships. In addition to our core team of experienced associates, we also have a strong team of interns currently pursuing degrees in psychology, economics, and public policy, so this adds to our bench strength. Our process is a virtuous circle of learning. The academics are committed to expanding the theoretical understanding of human nature. The practitioners like to see if and how these ideas hold in the real world which in turn provides further fodder for theoretical research. This integrated approach allows us to develop ideas that are both innovative in theory and in practice. We are growing the business by adding researchers who want to try and apply their academic pursuits with willing clients, and business people who aren’t afraid to set current practices aside. Plus the academics love playing with our large data sets. What advice would you give to young researchers who might be interested in a career in your field? Like academia, the business world has its own language with arcane words like “solutioning” and “concretize” and concepts like “value-add” and “straw-dogs.” Just hang in there! You’re saying the same thing: modulations are “tactics” and findings are “results.” And there is similar methodological thinking to problem solving that was brought into business by a fair number of folks with engineering degrees. I believe that social scientists bring the same level of analytical thinking and rigor from their work with experiments and statistical analysis, plus they bring the evolving universe of cognitive and social psychology, and neuroscience. We are teaching many businesses what to do with social science PhDs and helping social science PhDs who don’t know how they can use their skills in commercial terms. To academics, our platform presents the classic answer to their real world questions: I wonder if I tried this with real data and real people, what the outcome would be, and whether it could change the way people act? Few companies currently research or experiment in the way that a PhD has been trained to do. This is the essence of how BEworks is trying to change the nature of how business and policy leaders develop their strategies. Kelly is also one of the speakers at a dinner organised by InDecision at the annual conference of the Society for Judgment and Decision Making in Toronto. The informal dinner will follow the Graduate Student Social Event (6.45pm to 8.45pm) Saturday 16th November at Joe Badali’s restaurant, a 5-minute walk from the conference venue. The informal dinner is an opportunity for graduate students to hear from practitioners on how they are applying JDM research in their work – other speakers include pricing consultant and writer Leigh Caldwell from The Irrational Agency and Paul Sas, principal research scientist at Intuit.